Daren Kendall’s current work is site specific: a room in an historic house, a pedestrian courtyard, a concrete hallway, or a raw work space shape each work with their pre-existent forms. Kendall responds to the conditions which outline behavior, material aspects such as walls, ceiling, floor, entrance, egress, context, acoustics, and light; from these disparate elements Kendall creates forms and spatial scripts to amplify the systems in place and to reactivate the site. 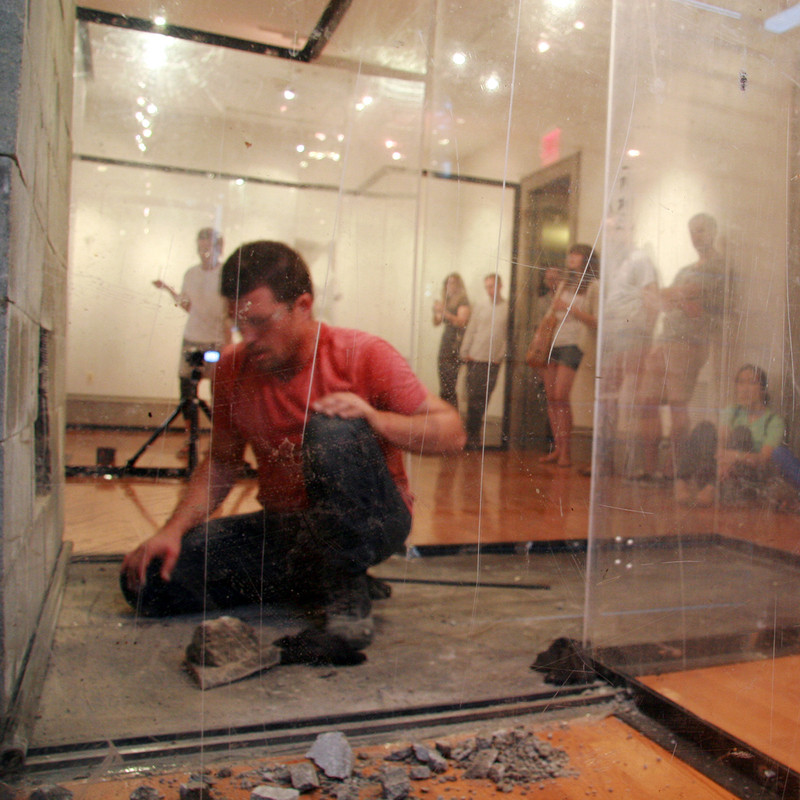 Materials such as concrete, steel, and safety glass used in the construction become conceptual tools, narrative props and musical instruments. Daren has mounted solo exhibitions with Caren Golden Fine Art and Margaret Thatcher Projects in New York City, and has had been reviewed in Flash Art and the New York Times. He currently teaches sculpture and printmaking for the Department of Art at Cornell University.